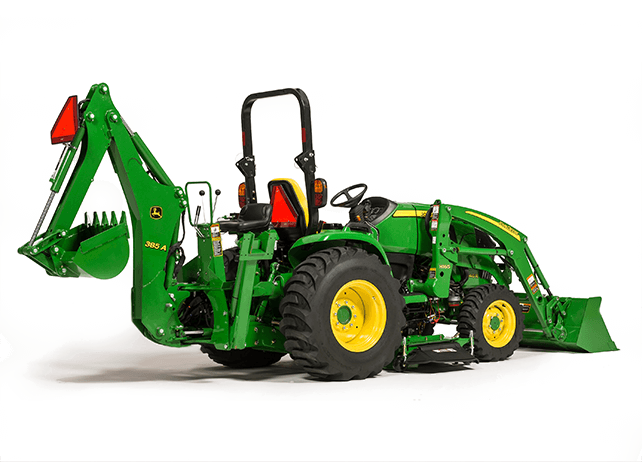 The 385A Backhoe was designed for the 3R Series Tractors with open operator stations. It has the hydraulic capacity to tackle tough work, and with its quick attach capability, one person can install or detach the 385A in under five minutes. Comfortable controls, a built-in seat and smooth operation make the 385A easy to use, while A full 180-degree rotation let’s you work in tight quarters. And powerful digging – to a depth of 102 inches – fast backfilling and excellent visibility help you get the job done right.